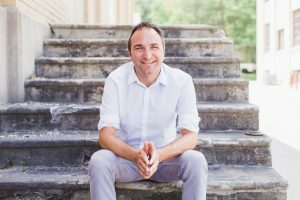 In this episode, Joe Sanok speaks about how to start a thriving practice. If you are in private practice and are under the $60 000 mark, this podcast series is for you! Joe is going back to the basics and running through the various phases involved in setting up a practice that is going to thrive! In this episode, Joe speaks about the importance of specializing. People always assume that specialists can do generalist work, but not necessarily the other way around. This is the Practice of the Practice Podcast with Joe Sanok, session #257. [MUSIC] [INTRODUCTION AND A START] Joe Sanok: I am Joe Sanok, your host. I hope you are doing incredible today. I am live here in the radio center two and also three. The radio center three building is going up next to us. I am looking into what eventually will be apartments, and I have a shade because if they are drinking their coffee and looking out on their balcony, they are going to look right into my counseling practice now, which is sort of a bummer. But that’s just how progress is. It’s sometimes sort of a bummer. But you know what, I am living it and it’s okay. Well, I am doing a brand new podcast series. I realized that I hadn’t really walked you through some of the basics of how to start a thriving practice. 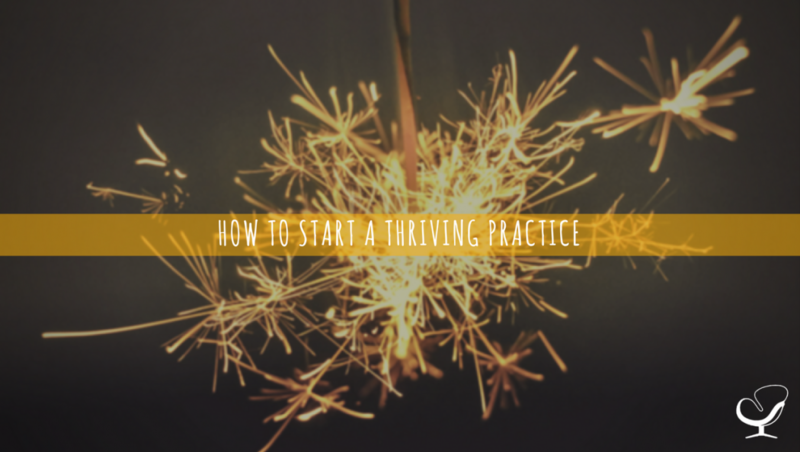 So we are going to be talking all about how to start a thriving practice throughout this series. I don’t know exactly how many podcasts it’s going to be, but I am going to try my best to drop all these podcasts in December to help set you on the right course in 2018. Really, the goal is to walk you through the three major parts of starting a practice. This is for people that are just starting a practice, that are growing a practice, that are under that $60,000 kind of level and really so that you can level up quickly. 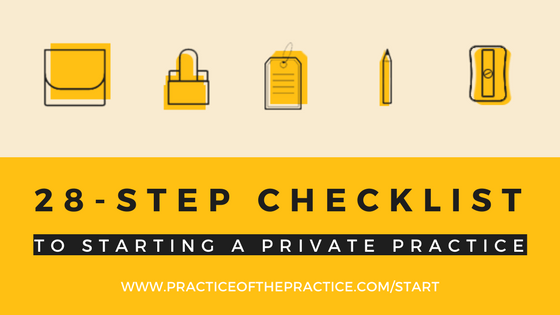 [THREE PARTS OF A PRIVATE PRACTICE DISCUSSED] And so the three parts that we are going to walk through over the coming podcasts are – first, the setup phase. And so the set up phase we are going to be covering the basics of specializing setting up your legal structure, your website, your location – all of that. We are then going to move into part two, which is all about how to attract clients. So identifying your ideal client, some of the marketing and social media, how to network, all of that. And then in part three, we are going to talk about the systems to grow your practice. Things like scheduling software, insurance versus private practice or private pay, and then growing your practice. And kind of the systems that are used within that. And so if you are feeling confused, overwhelmed, unsure if you did it right, if you are at that point where you just aren’t sure if you’ve set things up like you should have set them up, this series is for you. And if you are more advanced, the previous last month in November, Alison Pidgeon did a podcast takeover and she talked all about group practice. She talked about leveling up. When you are in that phase of practice, the goals are very different than the startup phase. So why don’t we start there. There’s really just three phases of practice and we have really been diving into this with the Practice of the Practice Podcast and the website. So really our tagline now is innovative ideas to start, grow, and scale a private practice. And we are saying private practice instead of counseling private practice as much because we have tons more massage therapists, chiropractors, even primary care doctors that are looking at leaving insurance that are listening to this podcast. So if you know those people, feel free to recommend it. That would be such a gift to us if you recommended the Practice of the Practice Podcast to a friend or colleague. It’s just so fun when people tag us on social media, and we can pop in and say thanks so much. And people are like, oh, that’s cool that Joe is popping in, and I am like just [joking 00:03:32.01]. I am just regular guy. So we are going to be covering the beginning part of those three phases. [THREE PHASES OF PRIVATE PRACTICE – START PHASE, GROWTH PHASE, SCALE PHASE] So that first part is the startup phase, when you’re just getting going, you are first doing the setup, attracting clients. You want to like really launch things. Then there is the growth phase where you’re really starting to get some traction. You are attracting your ideal client. You’re starting to get, you know, some income coming in. You are not sure where should I spend my time, where should I spend my money. And the main focus during those first two phases is really setting up the systems that will later help you scale as well it’s making sure that you are keeping your costs and your risks low. So unless you have some big funder like an uncle or a spouse or you have a whole bunch of savings, your biggest asset when you are first starting out is time. You have the time to put into it even if you have a full-time job. Time is usually your biggest asset and you can wearing multiple hats. You can be doing all these different things at that level. Whereas, when you start to scale beyond yourself, really what you are doing is you are looking at removing hats. You are looking at saying to yourself well, why is this on my plate? I need to take this off my plate. And so the very things that get you to a $100,000 will usually be the opposite of what you do to get to a multi six figure practice. Back in October, we covered all sorts of practices that had scaled, had grown, really got into that six figure or multi six figure and talked with people that were getting closer to million dollar practices. So now we are going to backing up a bit for those of you that said “waho” “wooo.” Slow your horse, Joe. We are not even there yet. These ones are for you. So, over the coming weeks that’s what we are going to be covering. [ABOUT SPECIALIZING] Now, in part one, one of the big things, one of the big questions I get is whether or not you should specialize. And I want to just give you a quick version of this. People always assume that a specialist can do generalist’s work… a specialist can do generalist’s work. But we don’t always expect that a generalist can do a specialist’s work. So for example, if I went out to a fancy French restaurant, and my father-in-law or my father or uncle or aunt or whoever, they are like [Inaudible 00:05:52.25] those kind of person. And they said, hey, I really just want to get a decent burger. And the waitress or waiter went to the chef and said, can we make this person a burger. That burger would probably be a pretty darn good burger. They put it on some fancy roll. They would have heirloom tomatoes. They’d probably have some grass fed, shade grown, conflict free beef that they put there on it. It would be a decent burger. But if you went to a mom and pop diner and said you want to really dig some fancy French [Inaudible 00:06:27.05], you know, where it’s kind of crispy on top. It’s like cold on the bottom, but like crunchy, you’re probably not going to get something that fancy from general mom and pop diner. And so specializing doesn’t always corner you in the market. It actually makes you more marketable. So we’re going to be talking about that, we are going to be talking about some legal structures and walking you through. For those of you that feel like this is one of the biggest mountains to climb, I am telling you, stick with me. Because if you just kind of do the next reasonable step, if you start outlining, okay, I am not there yet, but what do I need to do? I kind of find an office. Okay, what I need to do? File my LLCP report. Okay, what I need to do? I need a phone, I need a website. If you lump it all together, it seems like you have so much to do. But if you say, okay, by February 1st of 2018 or a couple months from now, I want to really be seeing clients. What do I need to do every few days? I gotcha. And actually I have a whole email course that’s about this. It’s for you if you feel confused and overwhelmed and you want to just stay organized, you want a faster launch and faster growth in 2018 or if you listen to this in the future – 2019, 2020 – whenever you listen to this. It starts with a 28-step checklist walking you through. Just stay organized. You print it out. You say, okay. I got to do these things. People keep on their desktop to keep them focused. They just go through… check, check, check, check, check. You got [Inaudible 00:07:58.17] in one of the first emails, get a 5-minute video that’s going to show you how in 5 minutes you can quickly know your market. And for most people, what they learn in their town is that most websites that are ranking are really bad websites, most people that are in Google Maps have hardly any reviews. Most people when you go to their websites, they don’t even have their phone number in the header. And so what that shows is that there is not a lot of competition. When we see that there is Psychology Today, and Yelp, and Good Therapy and all of these directory websites on the front page you google, that shows us there is a lot of opportunity for an actual practice to be front page you google. And google wants those local practices, but it’s saying we don’t have them here. So I have a video that I have put together that’s going to literally walk you through exactly what you need to do that you are going to get, and then after that, you are going to get a 13-email series that goes into those three parts – the setup phase, the attracting client phase and the systems phase. And those emails, they’re going to make it in byte size phases with one action, every single one of them. It’s 100% free. Just kind of go, opt in over at www.practiceofthepractice.com/start. Again, that is www.practiceofthepractice.com/start. 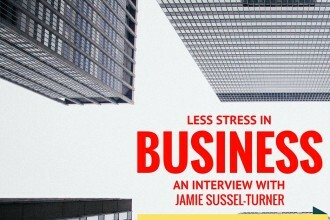 It will walk you through how to keep going with the things that we are covering in this podcast. So excited for the series, ready to kick this off, and I will talk to you in the next podcast all about that beginning setup phase. Thanks for letting me into your ears and into your brain. Talk to you soon. Bye.